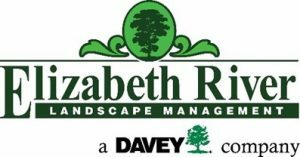 The Davey Tree Expert Co. acquired Elizabeth River Lawn & Landscape, a commercial landscape company based in Suffolk, Va. Terms of the transaction were not disclosed. Elizabeth River Lawn & Landscape has about 140 employees. Revenue was not disclosed for the company, which reported $9 million in 2014 revenue for the 2015 LM150 list of largest landscape companies. Davey ranked No. 3 on the 2017 LM150 list with $845 million in 2016 revenue. Jason Fawcett, CEO of Elizabeth River, will continue to lead the company, which is being branded as “Elizabeth River Landscape Management, a Davey company.” The firm has additional locations in Virginia Beach, Yorktown and Richmond, Va.
Fawcett is excited about the deal for many reasons, one of them being the ownership opportunities for his team members because Davey is an employee-owned firm. Dan Joy, Davey’s executive vice president and general manager of commercial landscape services, said Davey is excited to welcome the Elizabeth River team. Fawcett called the move a “power play” between a large company in the Virginia market (Elizabeth River) and an even larger national company that wasn’t yet in the region (Davey).